New York, N.Y. - FlightSafety International has announced that it has received an order from the Civil Aviation University of China (CAUC) to design and manufacture a King Air C90GTX full flight simulator. The simulator will be an integral part of the university’s ab initio pilot training programs. The simulator is expected to receive Level D qualification from the Civil Aviation Administration of China following delivery at first quarter of 2016. It will be installed in Chaoyang City, Liaoning Province of the People’s Republic of China. 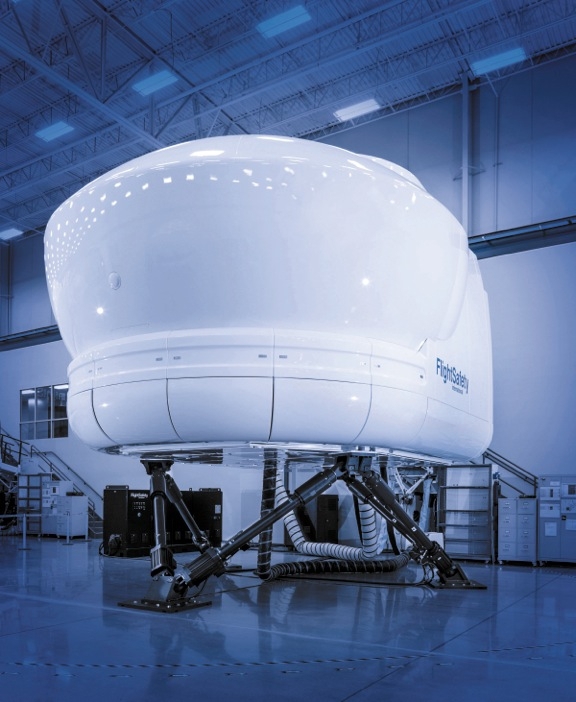 The new FlightSafety FS1000 simulator features tightly integrated computer hardware and software across subsystems which allow for more accurate and higher fidelity simulation. It offers a new multi-function Instructor Operating Station designed to enhance the effectiveness of training by providing an intuitive interface, scalable graphics, and large multi touch displays. The simulator will be equipped with FlightSafety’s VITAL 1100 visual system, electric motion control and cueing. FlightSafety has delivered more than 1,000 visual systems and 800 flight simulators and other advanced training devices to date. The simulators and visual systems are part of an integrated training system used throughout the company’s network of Learning Centers and by many other leading commercial, government and military organizations worldwide.